Both critics had populist tastes and a contempt for high seriousness, stuffiness and censorious bluenoses. 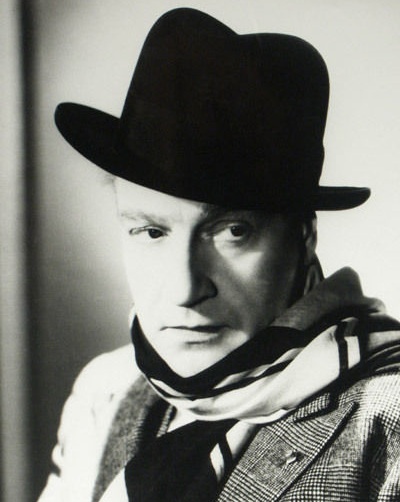 Greene regularly ridiculed the British Board of Film Censors, whom he considered hopeless plebeians, and mocked films for either being altered post-shoot or script-tailored “to get a Universal Certificate” (a joke that comes up in THE END OF THE AFFAIR). He frequently used terms like “pleasant unpretentious air,” and “lacks proper Shakespearean diction” as forms of praise, while “directed with deadly seriousness,” “Boy Scout idealism,” “confidently recommended to the middle aged” and “unbearably high-minded” were terms of damnation. They both understood that much of what we love about movies is their fun, their gaiety, their escapism (indeed, most of Greene’s positive reviews are of comedies, musicals and fantasies). Describing Sacha Guitry’s BONNE CHANCE (which he says is “worth a dozen” futurist cautionary-tale message movies), Greene says “it reminds one again that only the cinema and music among the arts have been able to convey this sense of poignant happiness, the quickness and lightness and transience of a sensation you cannot call by any name so heavy as joy.” Comparing the Ginger Rogers/William Powell detective-comedy STAR OF MIDNIGHT and the German peasant tragedy DER SCHLIMMEREITER, he said the American film “is all suavity and amusement, pistol-shots and cocktails; but I am uncertain whether the Victorian profundity of the German film has any more to offer, that there really is more behind the whiskers than behind the polish.” Greene even knew how to enjoy an allegedly serious movie as comic trash (DeMille’s THE CRUSADES, say). This is Kael’s thesis in “Trash, Art and the Movies” avant la lettre — that most of the movies we enjoy are not works of art, that the word “artist” is already too pretentious a term for, e.g., what Kael loved about Harry Ritz, and that the movies are so rarely great art that if we cannot appreciate great trash, there really is little reason for us to be interested in them. Another, and related, among the ways reading Greene evoked Kael for me was that he understood how and why we identify with the bad guys or the morally-dubious. 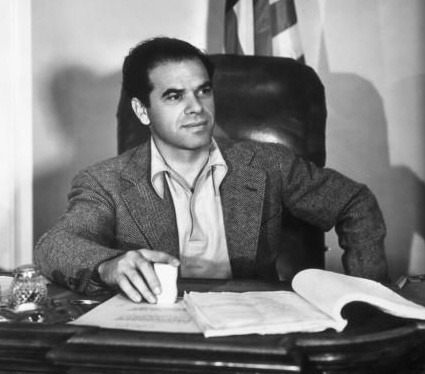 For example, he called Jacques Feyder’s LA KERMESSE HEROIQUE “a little obscene like most good comedies.” He rejected “good taste” as a standard and was capable of using lingo like “pleasantly heartless” of a murder mystery and “pleasantly bawdy” of a musical comedy. Our pleasures are often low, he noted, and there’s no point to try to elevate them. (As I said, Greene mocked censorship boards as mercilessly as any US critic has the MPAA.) In an otherwise favorable review of THE ROBBER SYMPHONY, Greene notes that the attempt to withdraw from the corruption of the commercial film and “its painstaking irresponsibility” gave the film a complacent feeling. Virtue can afford to be charitable, and all those who have occasionally enjoyed the corrupt pleasures, the bright facile excitements of popular entertainment will feel as if an old friend (vicious, of course, but not always unamusing) has been too priggishly reprimanded. This was a man who was later told by Pope Paul VI to pay no attention to censorious, subject-matter-based criticism of his work even from the Church. THE GREAT ZIEGFELD is another of those films that belong to the history of publicity rather than to the history of cinema. This huge, inflated, gas-blown object bobs into the critical view as irrelevantly as an airship advertising someone’s toothpaste over a South Coast ‘resort.’ It lasts three hours: that is its only claim to special attention. Like a man sitting hour after hour on top of a pole, it does excite a kind of wonder: wonder at how it manages to go on. Class fantasy: More than 50 years before Siskel and Ebert played the “how can they afford that apartment” game with contemporary movies, Greene was complaining about the private eyes and detectives in some 30s Hollywood movies rubbing elbows with upper-class people and exhibiting more-expensive styles and tastes than believable. And also being too clean and not affected by the criminal element they operate among. I wouldn’t claim an exact causal link, but not long after Greene wrote this, detective films turned toward film noir. But certainly there IS a causal link between Greene’s complaint and the contrasting working-class characterizations of Parkiss and his son in Greene’s THE END OF THE AFFAIR. 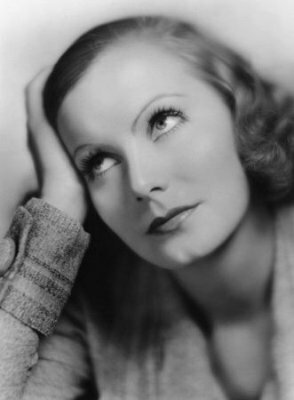 Auteurism: Greene insists that film-making is a director’s art, saying, and in a review of a Garbo film no less, that “the film does not need great actresses so much as great directors.” Greene does convincing auteurist analyses, in varying degrees of detail, of Rene Clair, Ernst Lubitsch, Frank Capra and Fritz Lang — all major Greene favorites. His review of Capra’s MR. DEEDS GOES TO TOWN contrasted it against Fritz Lang’s FURY to explain how directorial temperament and personality affects a film’s artistic success. Capra believes in his artificial studio-insisted happy ending, while Lang does not; hence, the former film is not damaged by it, but the latter is. Ideologically speaking, Greene was tough to peg. He was first and last a Roman Catholic, a left-leaning one in many respects. The best thing about that though is that politics affected his criticisms only obliquely and never in the form of ranting manichean partisanship (for that, check out Rosenbaum, Atkinson, Hoberman et al). He had a love-hate relationship with Soviet movies. Many were clearly superb, a fact he attributed to state funding and the lack of a need to appeal to the universal audience (though he insisted that all artists need “an” audience and to be conscious of it). But he also saw its problems long before it became chic. 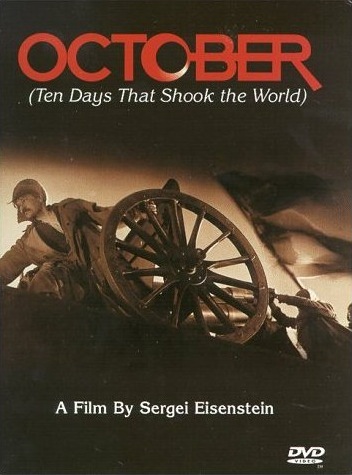 In criticizing a Pudovkin film, Greene explicitly called Marxist ideology and the drama it produced “Victorian” and rejected Soviet Communism on aesthetic grounds: “a Communist is nothing if he is not a Puritan.” He also was quite aware, appropriately for a Catholic, that its attempt to build heaven on earth were doomed a priori from the start, and worst of all to a critic or artist, produced silly art. The unreligious mind, when it sets about designing a heaven for itself is apt to be trivial, portentous, sentimental. … It never ceases to come as a shock to a mind like Mr. [H.G.] Wells’s that a man can still be unhappy when he has leisure, food, comfort, and the best modern dynamos. But it comes as even more of a shock to his audience that Mr. Wells can think of no less old-fashioned a way of appeasing this sense of dissatisfaction than by shooting two of his characters at the moon … and the film (THINGS TO COME) closes with a sky of stars and some hollow, optimistic phrase about the infinite spaces and the endlessness of man’s future progress. It is in such smug and sentimental terms that the characters in this film always speak. This was because, apropos another film, RHODES OF AFRICA, which he called “well-bred” and “worthy” (not terms of praise), Greene noted, “the kindly, optimistic Liberal temperament does not recognize the Fall of Man.” Yet in that very same review, which also covered Eisenstein’s OCTOBER he made the same point Yeats did, that the best lack all conviction, while the worst are full of passionate intensity. Britons no longer believe in the goodness of their country, in Rhodes’s mission (“pride of empire” is gone) or in anything but amorphous “progress.” Meanwhile, the Soviets burn with their conviction that they will bring about a better tomorrow every day (this is 50 years in advance of Allan Bloom saying the same thing, though his antagonist was not Marxism). Yet, Greene could be rousingly chauvinistic — complaining about foreign, by which he meant continental, involvement in the British film industry: “England, of course, has always been the home of the exiled: but one may at least express a wish that emigres would set up trades in which their ignorance of our language and culture was less of a handicap.” And also he could express nostalgia for foreign cultures being wiped out by modernity: the 1935 Swiss documentary ABYSSINIA “leaves you with a vivid sense of something very old, very dusty, very cruel, but something dignified in its dirt and popular in its tyranny and perhaps more worth preserving that the bright, slick, streamlined civilization which threatens it. I don’t refer particularly to Italy, but to a whole tone of a time whose popular art is on the level of THE BRIDE OF FRANKENSTEIN.” It would take an American liberal to think there was any contradiction here. It’s a nationalism that takes one’s country as worth defending in its current form, while being perfectly free to leave others as they are. 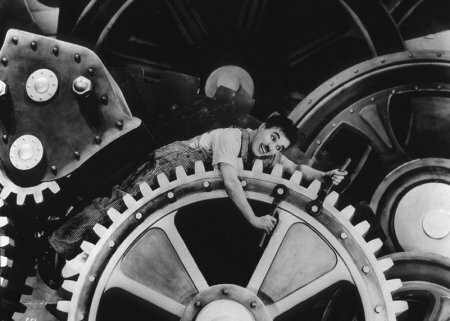 His most-subtle political analysis was of Chaplin’s satirical MODERN TIMES where he said something close to what Kael said about L’AVVENTURA that “although he (Antonioni) may believe in the socialist critique of society, he has no faith in the socialist solution. More of us than we care to admit may feel the same way.” In a parallel way, Greene noted that “Marxists, I suppose, will claim this as their film.” But he points out that whatever the environment, the Tramp himself has no class consciousness or even political consciousness generally: “Nor do we find him wondering ‘what a good Socialist man should do,’ but dreaming of a steady job and the most bourgeois home.” But because Chaplin, Greene notes, “is an artist not a propagandist … He presents, he doesn’t offer political solutions,” adding that Chaplin’s “sketch of the inhuman factory does not lead us to suppose that his little man would be more at home at Dneipostroi.” I am curious, in light of this statements, what Greene would have made of THE GREAT DICTATOR, but he had retired from film criticism before the Atlantic had been crossed by that awful, awful closing speech, a perfect example of everything Greene praised MODERN TIMES and plenty of other films for not being. But at the end of the day — here’s the true measure of a genius critic. I love Greene’s criticism and have read every review in sequence (I’m at exactly the halfway point), even though I haven’t seen most of the films in question. And there are many I’d never heard of. Greene makes you (well … me anyway) want to see the films he recommends. A positive review that doesn’t pique your curiosity about the film may as well not even exist. But, thanks to Greene, such films as JAZZ COMEDY (Grigori Alexandrov, USSR, 1934), RED SALUTE (Sidney Lanfield, USA, 1935), THE ROBBER SYMPHONY (Friedrich Feher, Britain, 1936), THE NEW GULLIVER (Grigori Roshal, USSR, 1935) and HORTOBAGY (George Hoellering, Hungary, 1935) now exist to me. Prior to picking up Greene, neither any of those titles nor any of those directors meant anything to me. 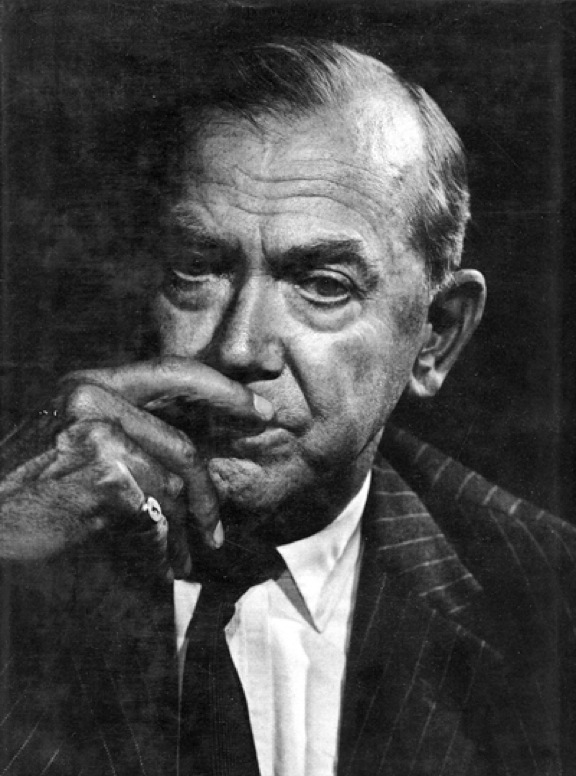 I am dying to ditch Learned Hand in order to read Graham Greene right now. I love Graham Greene. I’m amazed this book exists. I want it. Thank you for making me want it.